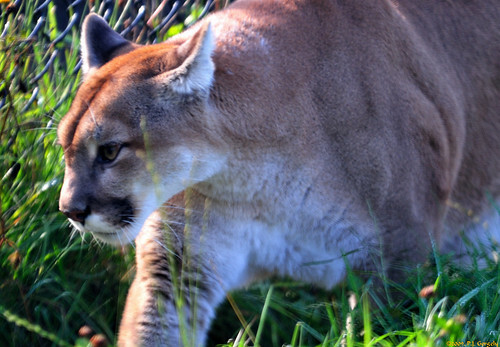 This is the best shot I could get of the Western Cougar, as it was in a fenced enclosure, with a large plexiglas viewing area. This shot was taken through the plexiglas which also had some reflection. For more information on the cougar, please see Wikipedia.